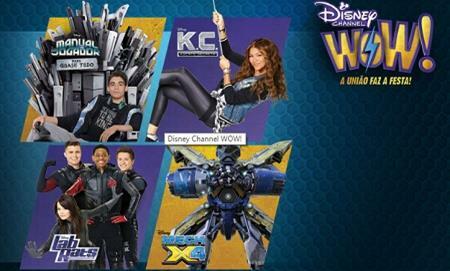 Altice-owned Portuguese pay TV and telecom operator Meo has launched a new pop-up channel from Disney, Disney WOW! The channel, aimed at the 6-11 year-old audience segment, includes action, adventure and comedy series. Shows on the channel include Mech-X4, Lab Rats and Wasabi Warriors. The channel’s launch is timed to coincide with the Portuguese school holiday season. The service will be available until May 10 for all Meo TV customers and will be accessible via tablets, smartphones and PCs at no extra cost. Disney WOW is the seventh Disney pop-up channel to be launched by Meo under a partnership between the operator and the US studio. Other channels in the series include Disney Junior BrincaAprende, Marvel Mania and Disney Forever 2.